When a patient is diagnosed with prostate cancer, choosing the place to receive treatments is one of the most important decisions to make. Not only does this choice serve to dictate the quality of the care, it can also directly influence the outcome of the prostate cancer treatment. 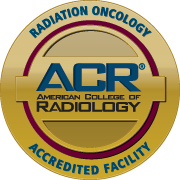 The quality of the staff is one important factor in choosing a cancer treatment center. In addition to considering their level of knowledge and experience, it is also important to consider how satisfied they seem to be with their jobs, as the level of commitment the staff members have for their work has a direct impact on the quality of patient care. Ask any member of the staff at Advanced Prostate Cancer Institute how they feel about working with the other team members and they will gladly report that they feel like a family. They care about each other and look forward to working together every day. They are united in the goal of providing patients with the best possible care. It’s not something they have to say because patients can feel their friendliness and concern as soon as they walk through the doors. A prostate cancer diagnosis can be a frightening thing to deal with. In addition to being worried about their health, patients often picture a cancer center as being a place that is harsh, clinical and cold. 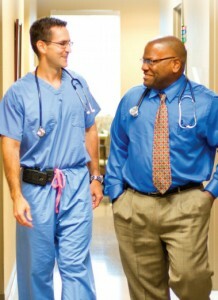 Those who choose Advanced Prostate Cancer Institute for treatments have a different kind of experience. Instead, they are welcomed into a warm, safe, caring environment staffed with professionals who know their name and cheer them on during the healing process. It makes all the difference in the world, and that is why so many patients are glad they chose Advanced Prostate Cancer Institute in Florida.